Looking to maintain peace throughout the universe, a race of aliens known as the Guardians formed the Green Lantern Corps, an army of galactic protectors armed with mighty power rings. After a cataclysmic event, the Guardians left the universe and disbanded the Corps. But on their home world of Oa, one last Guardian remained and, in the grip of insanity, began transporting Looking to maintain peace throughout the universe, a race of aliens known as the Guardians formed the Green Lantern Corps, an army of galactic protectors armed with mighty power rings. After a cataclysmic event, the Guardians left the universe and disbanded the Corps. But on their home world of Oa, one last Guardian remained and, in the grip of insanity, began transporting whole cities from all over the universe to his planet to keep him company. 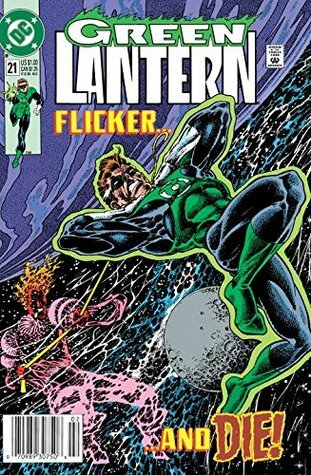 Now as the only remaining Green Lanterns in all of existence, a disillusioned Hal Jordan, a guilt-ridden John Stewart, and an egotistical Guy Gardner must join forces to defeat their former benefactor.